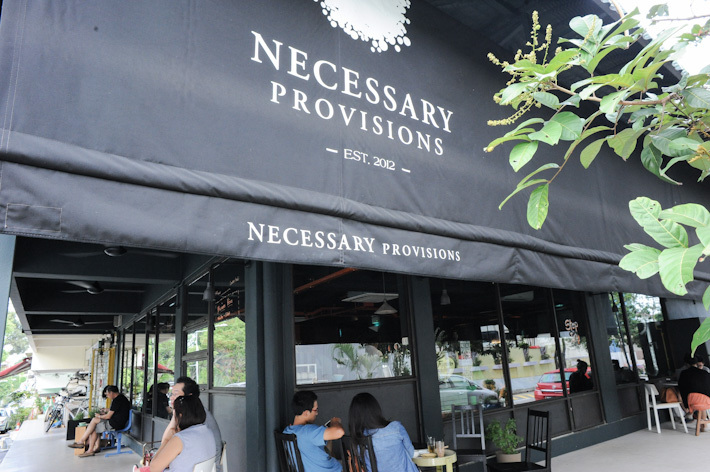 Opened by the folks behind Smitten Cafe, Necessary Provision is a gem and a wonderful spot for people who stay in the West of Singapore. When I first heard about Necessary Provisions, I was really excited for a few reasons. First, I know that they will have good coffee as it is by Smitten Cafe. Second, the cafe is very near to my place – I can get there in ten minutes. Third, I have always lamented the fact that we lack a good coffee joint in this part of the island. While we have seen many cafes sprouting up over the past few years, somehow, there is not any cafe that serves good coffee in the west. The cafe is at Eng Kong Terrace (a residential area in Bukit Timah), and while the location is extremely inaccessible, it has already built up a strong following. On weekdays, it has a good crowd, with regulars getting their caffeine fix while doing some work (the cafe has free Wi-Fi and power plugs). On weekends, it is almost impossible to get a table for brunch unless you get there early. Necessary Provisions offers several options for coffee. 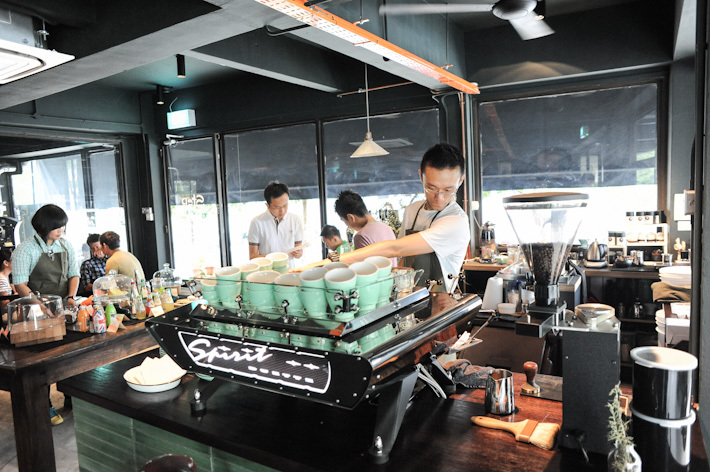 For espresso based coffees, choose between the Black (S$4) and White (S$5). They also do a Pourover: V60 or Chemex (S$6.50). The food menu is simple and earnest. There is an all day menu which features breakfast items like Banana Nutella Panini (S$5), Savoury Scones (S$5) and a selection of Sandwiches (S$9) with house salad. During dinner, the dinner menu (from 6pm till late) consists of small plates (S$6 – S$12), pastas (S$14), burgers (S$14) and fish (S$22). Necessary Provisions is a great addition to the blooming local cafe scene. I am very happy that there is a nice cafe which serves excellent coffee in my neighbourhood. If you are staying in the area, you must check it out. Thanks for the great recommendation Brad! I’m a real coffee addict so this really helps!! Their coffee was really great!! Aiyo. Where no have nice coffee place in the west. Al Amin kopi peng n mcdonalds mccafe ice latte good leh. Visited, but it was closed for renovations ???? Hey .. there’s a place in West Coast called W.39 Bistro. Tried it a few times, good coffee, cakes and food! 1 more cafe in the West to recommend! Hey, i made my way there from the east on a Tuesday (as i’m on leave) only to find it closed. So I think you gotta update the opening hours here since many people do refer to your posts. I think they are closed on Mondays and Tuesdays. Nevetrheless, thanks for your post! Would still love to go back there one day to try the coffee and food!